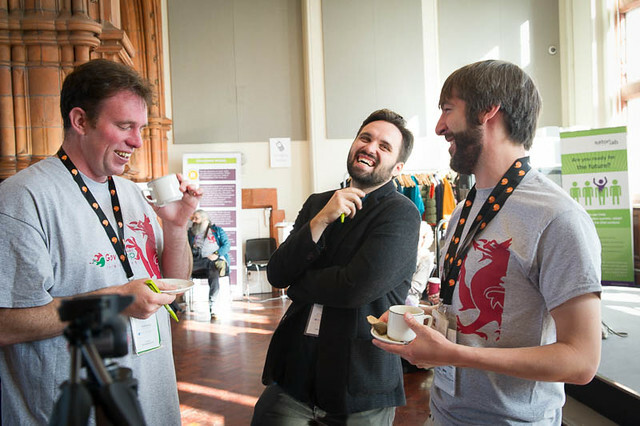 This year, GovCampCymru held its second event in the Pierhead, which forms part of the National Assembly for Wales’ estate in Cardiff Bay. 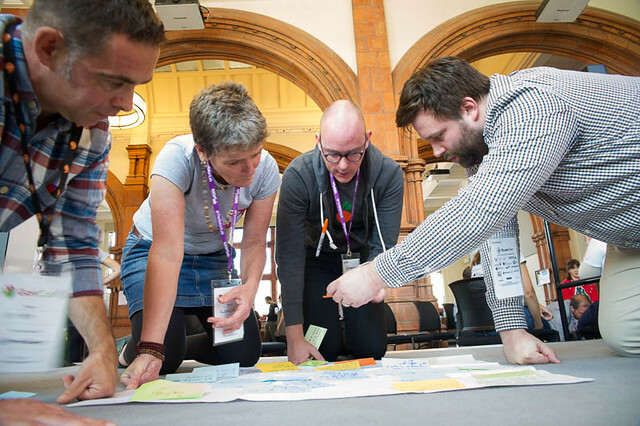 GovCamp is an event where people come together to discuss, create and innovate, looking specifically at how technology, new thinking and public services can improve society. 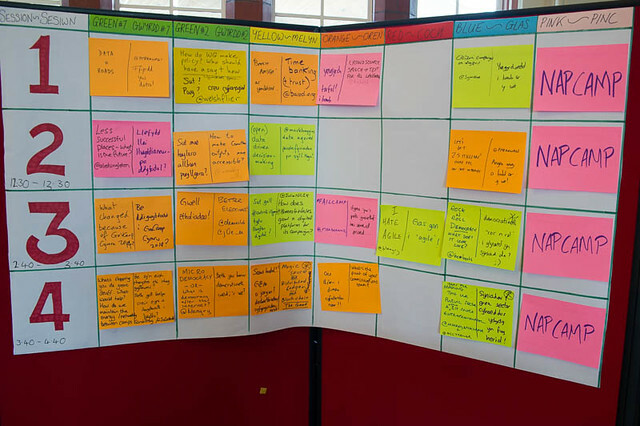 It runs on an ‘unconference’ basis, where the agenda for the day is decided by people proposing workshop or discussion topics on the day. The event in Wales is co-ordinated by the Sartori Lab, along with the help of scores of volunteers and sponsors. 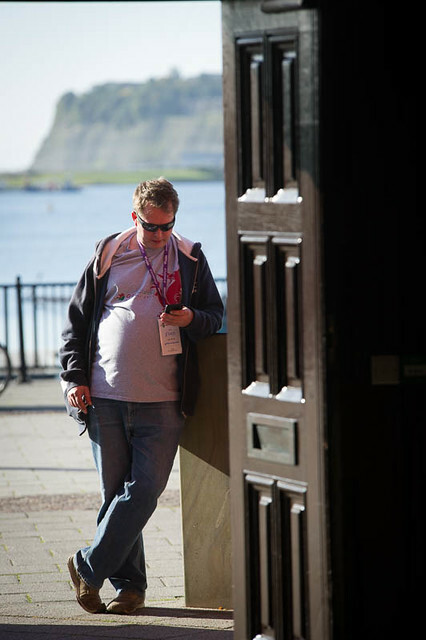 An overview of the day is available on the Good Practice Wales Pinterest board. If you are interested in an overview of what was discussed on the day, you can view the Google Doc session notes. 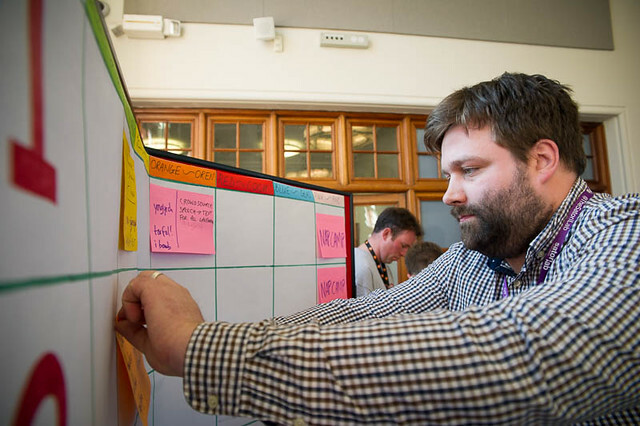 If you work in the public sector and are interested in keeping the flame of innovation and discussion going between annual events, Sartori Lab have arranged a Bara Brith Camp (which was an outcome of one of the sessions). This time, a number of Assembly staff went along, each interested in a different aspect of public service. Here are their comments about the day. 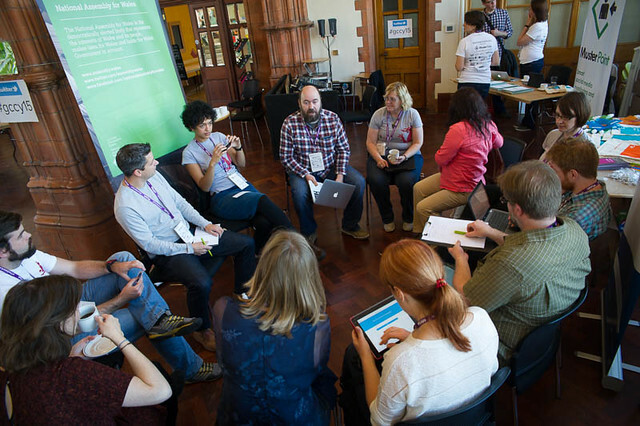 This was my first unconference experience and I really enjoyed the freedom of discussion it afforded everyone there. It ensures that only engaged people remain in dialogue with you and you get some amazing ideas as a result. The great thing about an unconference is that the best conversations can happen in between sessions, perhaps talking over a coffee. 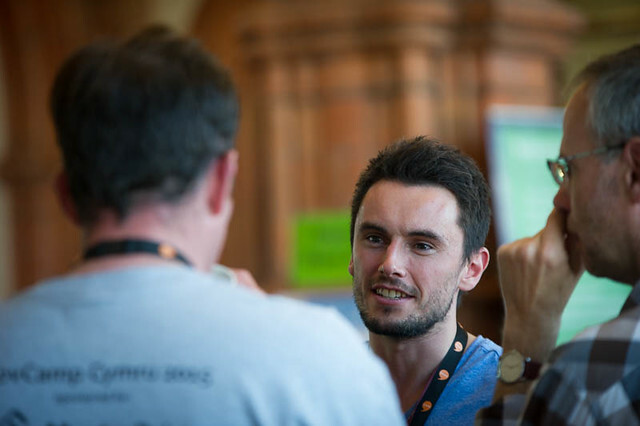 These aren’t forced ‘networking breaks’ but fluid and stimulating debates you have to be pulled away from at times. It also helps that people who gave up their Saturday are bound to have passion for this field. I spent the morning session talking about Welsh language speech to text technology, get in touch with Gareth Morlais (@melynmelyn) if you have ideas on this. I also listened to a session led by the Assembly on how we could make outputs of Assembly Committees more engaging to a wider audience. It seems that having separate Twitter accounts for Committees with different remits is well received but we need to do more to make the reporting side even more engaging. Our Slate reports might be a step in the right direction. This is definitely the format for getting the most out of your time away from the desk, I’d like to see it widely adopted across the public sector. Try using it for your next staff away day! This was my third GovCamp. I’ve been to one in London and two in Wales, and have since spent a lot of time pestering others to join in! I may be biased, but I’ve vastly preferred the Welsh ones. 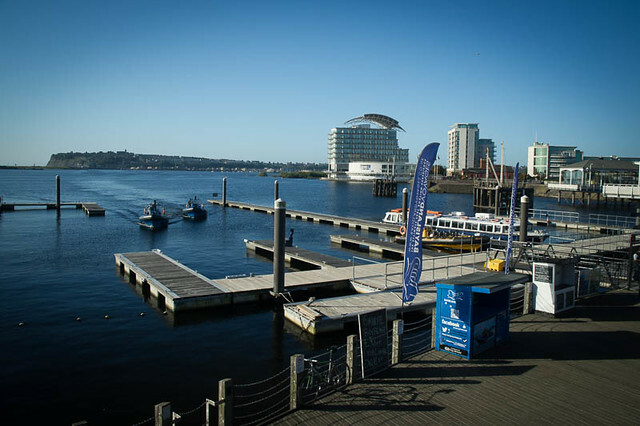 The content was varied enough for both to encourage people to attend sessions on things they might not know about, plus it deals with the Welsh context, which is different from English / UK national issues. Talking about how to improve things, with people from Wales and outside it, is a great way to spend a day! 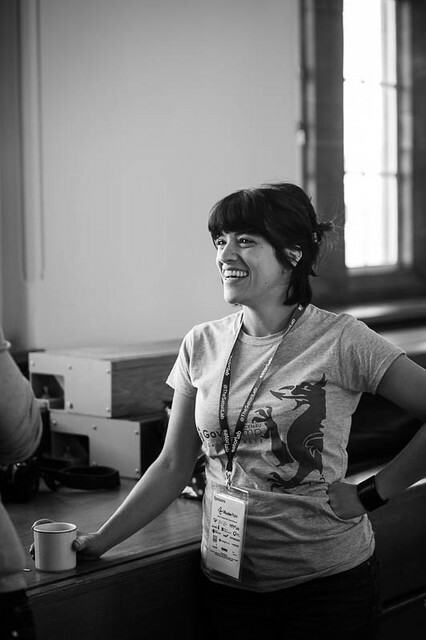 Helia and I went to GovCampCymru last year, and liked it enough that not only did we want to go again, but we also felt that it would be a really good fit to hold GovCamp at the National Assembly, and have more people from the Assembly be a part of the day. This time around we were joined by a couple of people from our online and social media team, and representatives from our translation and legislation teams. It was great to be a part of the event again. The thing that struck me last year was how great it was to have so many positive and knowledgeable people in the same room at the same time, people who are passionate enough to give up their time on a Saturday. It’s a great was to share practical ideas – as well as getting into massive ideological debates! 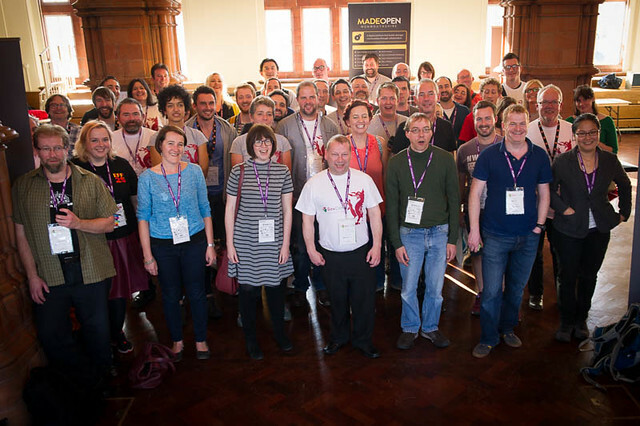 This year was no exception, and as was the case last year, there was a real good mix of issues discussed including the accessibility of committee reporting outputs, how to progress the digital agenda in Wales, promoting elections, and the future of democracy…a lot of stuff to try and fix in four hour long workshops! I pitched a workshop on ‘Better reporting? Improving the accessibility of Committee Outputs.’ The original aim of this session was to get a range of ideas about how we could make the outputs of committee scrutiny more accessible/attractive/digestible, with a particular focus on more innovative ways of publishing information and how they’ve evaluated the success of those methods. 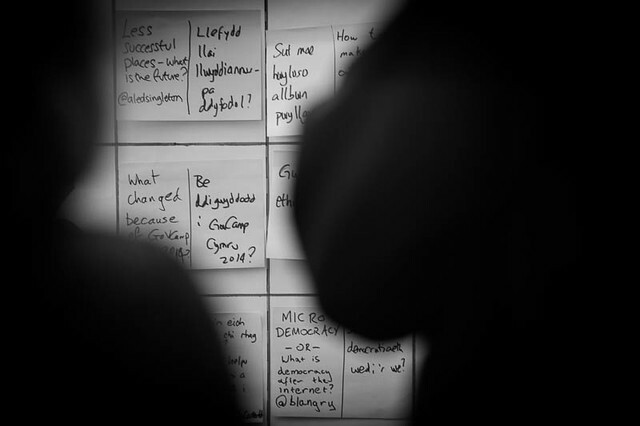 However, in keeping with the nature of GovCamp, the discussion didn’t explicitly follow this direction. Instead, one of the themes of the session was that a bigger issue for the Assembly was how we select content for particular audiences, rather than how we present it. In terms of language technology, there was an interesting session pitched by Gareth Morlais from the Welsh Government on the possibility of crowdsourcing speech-to-text technology. Given our work on language technology and continued interest in the field, we are well placed at the Assembly to participate in any developments on speech-to-text in the future and we’d be keen to explore how we could participate in any crowdsourcing projects. 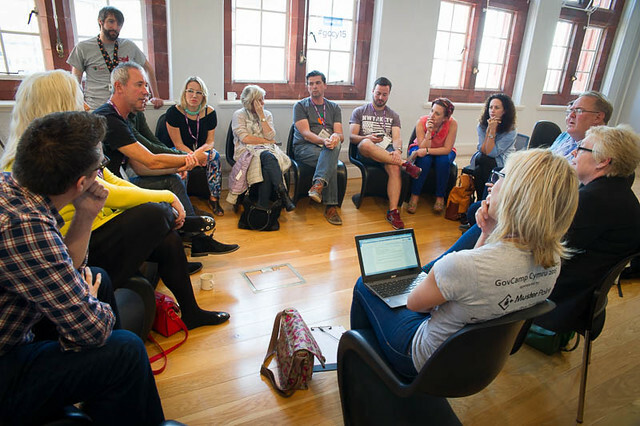 This was my first experience of an “unconference” and I think the format worked well. 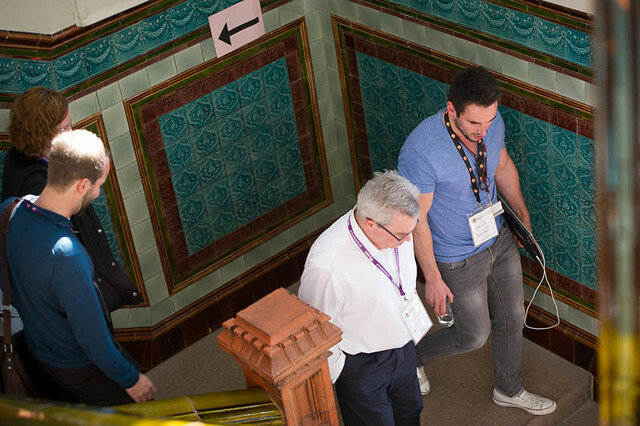 At the sessions I attended everyone was fully engaged and the atmosphere of enthusiasm was infectious – there was a great buzz in the building. 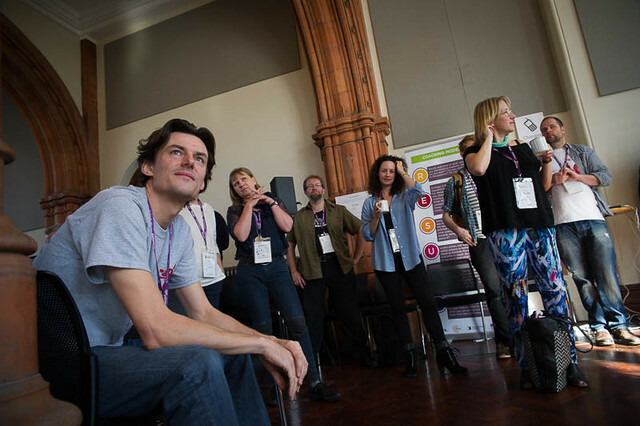 GovCampers took over the iconic Pierhead for the day, which meant there was was plenty of space for 100 attendees and 20 workshops. My first session was about citizen campaigns using digital. People know how to complain about problems with their rubbish or a park, but not about digital issues. How can we change this? (Part of the problem is that actually, many people still don’t know to approach their councils and councillors, even about parks, but that’s something for another workshop.) After that I attended Dave McKenna’s (@localopolis) session on Making Democracy More Like Rock n’ Roll. A worthy ideal if ever there was one, and a great session with some useful ideas to take away. Dave has gathered everyone’s input together and blogged about it already. 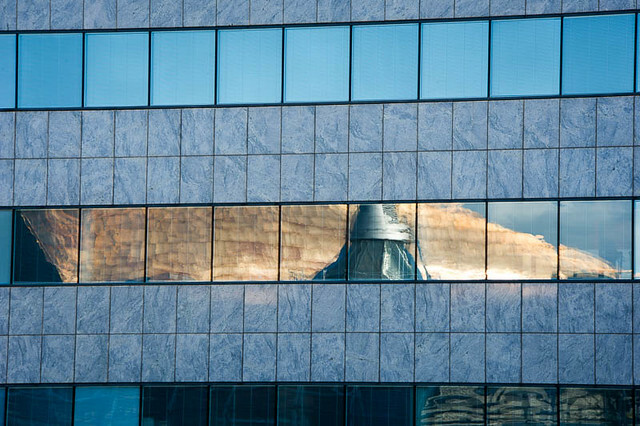 The following images were all taken by WNBishop on Flickr. As the National Assembly’s first female Presiding Officer, I am committed to ensuring that everyone in Wales has a say in the way our country is run. In particular, I want Welsh women’s voices to be heard and their views valued. 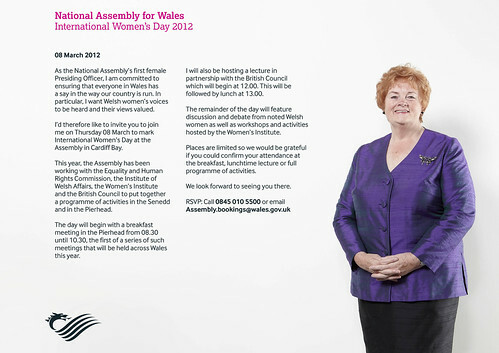 I’d therefore like to invite you to join me on Thursday 08 March to mark International Women’s Day at the Assembly in Cardiff Bay. 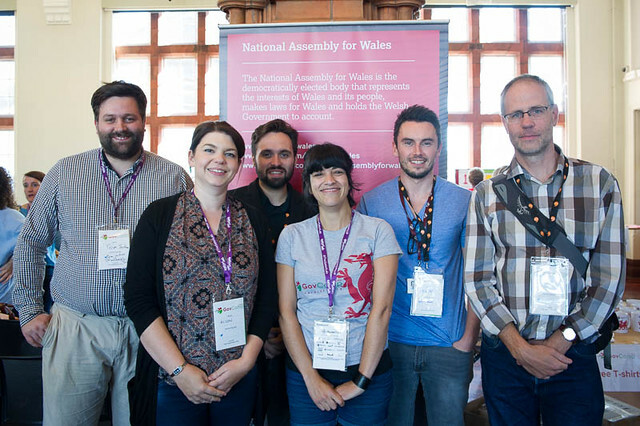 This year, the Assembly has been working with the Equality and Human Rights Commission, the Institute of Welsh Affairs, the Women’s Institute and the British Council to put together a programme of activities in the Senedd and in the Pierhead. 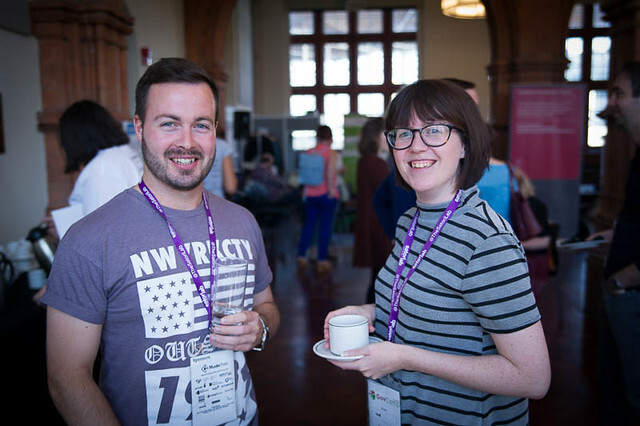 The day will begin with a breakfast meeting in the Pierhead from 08.30 until 10.30, the first of a series of such meetings that will be held across Wales this year. I will also be hosting a lecture in partnership with the British Council which will begin at 12.00. This will be followed by lunch at 13.00.
women as well as workshops and activities hosted by the Women’s Institute. the breakfast, lunchtime lecture or full programme of activities. 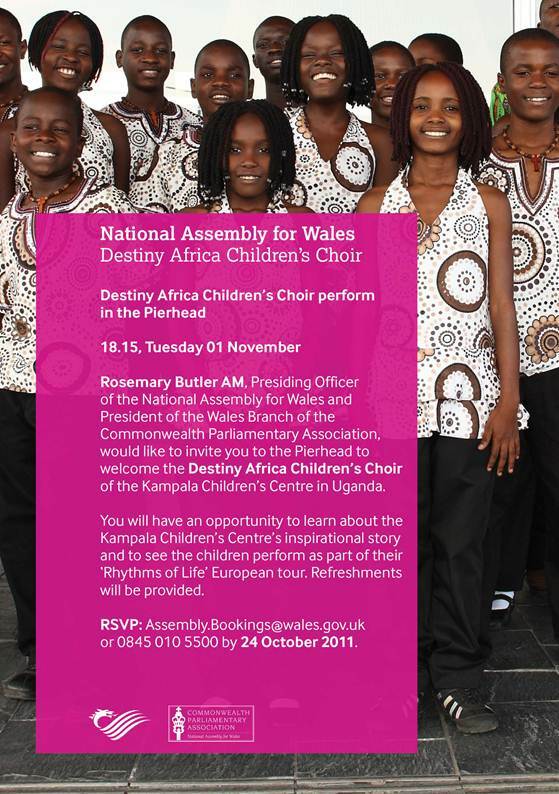 The National Assembly for Wales is pleased to announce that, following their successful visit last May, the Destiny Africa Children’s Choir will return to Wales to perform in the Pierhead on the evening of Tuesday 1 November. The performance, as part of their “Rhythms of Life” European Tour, will give the audience the opportunity to learn of the inspirational story of the children from the Kampala Children’s Centre in Uganda.